24 Hour Translation has a history of success in providing legal translation solutions to law firms, businesses and organizations throughout the United States and around the world. Because many of our legal translators are licensed legal professionals, we are uniquely situated to provide legal translation services. That’s because sensitive and important legal documents require the highest level of attention, insight and expertise. 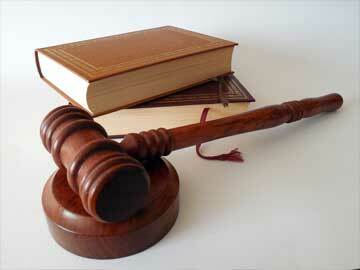 Hiring a firm with specialized certified legal translators is necessary to insure an accurate translation. Because systems, languages, concepts, terms and formats vary from one country to another, translators must know local legal language and concepts. Legal guidelines, laws, regulations and codes govern specific details regarding everything from complex legal matters to contracts, product packaging, advertising and textual formatting and nomenclature. 24 Hour Translation provides legal translation services, expertise and assistance ranging from straightforward translations of immigration documents to complex corporate transactional law and civil litigation. Our legal translation work is exceptional and personal. Our Houston legal translation services team offers low prices, accurate service and on-time delivery. Our proven capabilities have led to the development of close work relationships with some of the largest international law firms in the world. Fortune 500 companies and large law firms trust our agency with their legal translations for good reason. We are a true U.S. business that takes confidentiality seriously and we safeguard your documents. Our legal translators are carefully chosen and tested to ensure the accuracy and quality of the translations that you receive. Your document goes through a complete process from translation to editing and reviewing to ensure end-to-end value. While our selection process is important, we also continually monitor and improve the complete translation process to ensure we employ the best legal resources. Comprehensive testing and evaluation, paired with continuous monitoring, allow us to provide the type of certified legal translation you demand. Unlike many legal certified translation vendors, we are a real U.S. business with offices and employees in the United States. With other companies, your legal documents could be translated on unsecured computers in coffee shops and internet cafes that have networks and computers riddled with spyware and viruses. Our owner is a U.S. disabled veteran, a U.S. Department of Defense employee with security credentials. All of our employees are bound by confidentiality and non-disclosure agreements. We take confidential and sensitive information seriously and we have safeguards in place to ensure your legal documents are handled appropriately. When in doubt, our Dallas legal translation services can turn to our wide range of translation dictionaries, glossaries and industry specific terminology tools. These resources further ensure a precise translation. Incorporation and LLC Formation, Contracts, Employment Agreements, both drafting and review, Operational Agreements, Leases, Employment Handbooks, and Shareholder Agreements. We draft new documents and review existing ones. Living Wills and Health Care Power of Attorney, Power of Attorney, Will Preparation, Living Trusts, and Estate Administration. Divorce Decrees, Divorce Certificates, Child Support Settlements, and Adoption Documents. Chapter 7 and 13 Bankruptcy, debt negotiations, short sales, and mortgage foreclosures. Residential and Commercial Closings, 1031 Exchanges, lease review and drafting for both commercial and residential properties, short sales, mortgage foreclosures, and zoning violations. Patent infringement, trade secret protection, patent filings, identifying and protecting intellectual property.